The Alamitos Bay, California entrance channel. Breakwaters create safer harbours, but can also trap sediment moving along the coast. Breakwaters are structures constructed near the coasts as part of coastal management or to protect an anchorage from the effects of both weather and longshore drift. Breakwaters reduce the intensity of wave action in inshore waters and thereby reduce coastal erosion or provide safe harbourage. Breakwaters may also be small structures designed to protect a gently sloping beach and placed 100–300 feet (30–90 m) offshore in relatively shallow water. An anchorage is only safe if ships anchored there are protected from the force of high winds and powerful waves by some large underwater barrier which they can shelter behind. 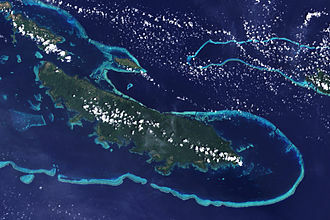 Natural harbours are formed by such barriers as headlands or reefs. Artificial harbours can be created with the help of breakwaters. 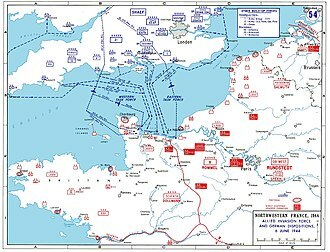 Mobile harbours, such as the D-Day Mulberry harbours, were floated into position and acted as breakwaters. Some natural harbours, such as those in Plymouth Sound, Portland Harbour, and Cherbourg, have been enhanced or extended by breakwaters made of rock. The dissipation of energy and relative calm water created in the lee of the breakwaters often encourage accretion of sediment (as per the design of the breakwater scheme). However, this can lead to excessive salient build up, resulting in tombolo formation, which reduces longshore drift shoreward of the breakwaters. This trapping of sediment can cause adverse effects down-drift of the breakwaters, leading to beach sediment starvation and increased erosion. This may then lead to further engineering protection being needed down-drift of the breakwater development. 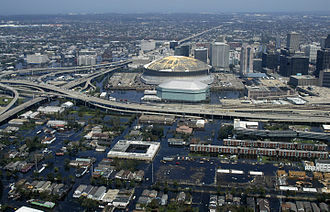 Breakwaters are subject to damage, and overtopping in severe storms. Breakwaters can be constructed with one end linked to the shore, otherwise they are positioned offshore 330–1,970 feet (100–600 m) from the original shoreline. There are two main types of offshore breakwater (also called detached breakwater), single and multiple; single as the name suggests means the breakwater consists of one unbroken barrier, which multiple breakwaters (in numbers anywhere from two to twenty) are positioned with gaps in between (160–980 feet or 50–300 metres). Length of gap is largely governed by the interacting wavelengths. Breakwaters may be either fixed or floating, and impermeable or permeable to allow sediment transfer shoreward of the structures, the choice depending on tidal range and water depth. 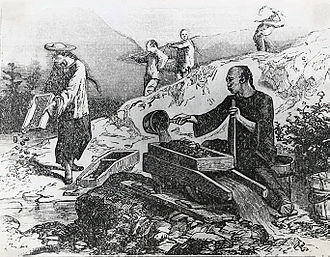 They usually consist of large pieces of rock (granite) weighing up to 16 tonnes each, or rubble-mound. Their design is influenced by the angle of wave approach and other environmental parameters. Breakwater construction can be either parallel or perpendicular to the coast, depending on the shoreline requirements. A breakwater structure is designed to absorb the energy of the waves that hit it, either by using mass (e.g., with caissons), or by using a revetment slope (e.g., with rock or concrete armour units). In coastal engineering, a revetment is a land backed structure whilst a breakwater is a sea backed structure (i.e., water on both sides). Rubble mound breakwaters use structural voids to dissipate the wave energy. Rubble mound breakwaters consist of piles of stones more or less sorted according to their unit weight: smaller stones for the core and larger stones as an armour layer protecting the core from wave attack. Rock or concrete armour units on the outside of the structure absorb most of the energy, while gravels or sands prevent the wave energy's continuing through the breakwater core. The slopes of the revetment are typically between 1:1 and 1:2, depending upon the materials used. In shallow water, revetment breakwaters are usually relatively inexpensive. As water depth increases, the material requirements—and hence costs—increase significantly. Caisson breakwaters typically have vertical sides and are usually erected where it is desirable to berth one or more vessels on the inner face of the breakwater. They use the mass of the caisson and the fill within it to resist the overturning forces applied by waves hitting them. They are relatively expensive to construct in shallow water, but in deeper sites they can offer a significant saving over revetment breakwaters. An additional rubble mound is sometimes placed in front of the vertical structure in order to absorb wave energy and thus reduce wave reflection and horizontal wave pressure on the vertical wall. Such a design provides additional protection on the sea side and a quay wall on the inner side of the breakwater, but it can enhance wave overtopping. A similar but more sophisticated concept is a wave-absorbing caisson, including various types of perforation in the front wall. Such structures have been used successfully in the offshore oil-industry, but also on coastal projects requiring rather low-crested structures, e.g. on an urban promenade where the sea view is an important aspect like in Beirut and Monaco. In the latter, a project is presently ongoing at the Anse du Portier including 18 wave-absorbing 27 m high caissons. Wave attenuators consist of concrete elements properly dimensioned placed horizontally just one feet under the free surface, positioned along a line parallel to the coast. The wave attenuator has four sea-side (seaward) slabs, one vertical slab, and two rear-side (landward) slabs, each separated from the next by a space of 200 millimetres (7.9 in). This row of 4 front side slabs and two rear side slabs, reflects the offshore wave by the action of the volume of water located under it which, made to oscillate under the effect of the incident wave, creates waves in phase opposition to the incident wave downstream from the slabs. As design wave heights get larger, rubble mound breakwaters require larger armour units to resist the wave forces. These armour units can be formed of concrete or natural rock. The largest standard grading for rock armour units given in CIRIA 683 'The Rock Manual' is 10–15 tonnes. Larger gradings may be available, but the ultimate size is limited in practice by the natural fracture properties of locally available rock. Shaped concrete armour units (such as Dolos, Xbloc, Tetrapod, etc.) can be provided in up to approximately 40 tonnes (e.g. Jorf Lasfar, Morocco), before they become vulnerable to damage under self weight, wave impact and thermal cracking of the complex shapes during casting/curing. Where the very largest armour units are required for the most exposed locations in very deep water, armour units are most often formed of concrete cubes, which have been used up to ~195 tonnes for the tip of the breakwater at Punta Langosteira near La Coruña, Spain. Preliminary design of armour unit size is often undertaken using the Hudson Equation, Van der Meer and more recently Van Gent et al. ; these methods are all described in CIRIA 683 'The Rock Manual' and the United States Army Corps of Engineers Coastal engineering manual (available for free online) and elsewhere. For detailed design the use of scaled physical hydraulic models remains the most reliable method for predicting real-life behavior of these complex structures. 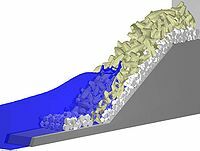 3D simulation of wave motion near a sea wall. MEDUS (2011) Marine Engineering Division of University of Salerno. The same wave motion at the Visby breakwater in Sweden. ^ Jackson, Nancy L.; Harley, Mitchell D.; Armaroli, Clara; Nordstrom, Karl F. (2015-06-15). "Beach morphologies induced by breakwaters with different orientations". Geomorphology. 239: 48–57. doi:10.1016/j.geomorph.2015.03.010. Wikisource has the text of the 1911 Encyclopædia Britannica article Breakwater. Many reefs are built using objects that were built for other purposes, for example by sinking oil rigs, scuttling ships, or by deploying rubble or construction debris. Other artificial reefs are built from PVC or concrete. Shipwrecks may become artificial reefs when preserved on the sea floor, the construction of artificial reefs is thousands of years old. Since at least the 1830s, US fishermen used interlaced logs to build artificial reefs, more recently, castaway junk, such as old refrigerators, shopping carts, ditched cars, out-of-service vending machines replaced the logs in ad hoc reefs. Officially sanctioned projects have incorporated decommissioned subway cars, vintage battle tanks, armored personnel carriers, artificial reefs tend to develop in more or less predictable stages. Next come creatures seeking protection from the oceans lethal openness—hole and crevice dwellers such as grouper, squirrelfish, opportunistic predators such as jack and barracuda appear, waiting for their prey to venture out. Over months and years the structure becomes encrusted with algae, tunicates and soft corals. Mineral accretion involves applying a low voltage current to a structure to cause limestone to crystallize on the surface, to which coral planulae can attach. The electric current speeds post-attachment growth, EMA works like charging a battery with a positive pole, the cathode, and a negative pole, the anode. Applying electric current attracts various dissolved minerals to either the cathode or the anode, chemical reactions take place at both poles. 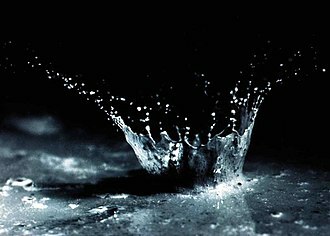 On the anode, bubbles of oxygen and chlorine gas form and these bubbles float to the surface and dissolve into the air. On the cathode, bubbles of gas and a limestone precipitate appear. The voltage is low enough that it can be generated by floating solar panels or from wave motion, artificial surfing reefs have been created in several locations around the world. Supporters cite subsidiary benefits such as protection, habitat enhancement. The worlds first attempt was made in El Segundo, near Los Angeles, the next attempt was at Mosman Beach, Western Australia. In coastal engineering, a tetrapod is a tetrahedral concrete structure used as armour unit on breakwaters. Earlier barrier material used in breakwaters, such as boulders and conventional concrete blocks and similar structures are often numbered so any displacement that occurs can be monitored from photographs. The unit was developed in 1950 by Laboratoire Dauphinois dHydraulique in Grenoble. They are no longer protected by a patent, and are used all over the world. In Japan, the word tetrapod is often used as a name for wave-dissipating blocks including other types and shapes. Tetrapods and concrete have become a Japanese institution in modern times and their manufacture and dispersal create jobs for Japanese citizens and contracts for construction companies. It is estimated that nearly 50 percent of Japans 35,000 kilometer coastline has been covered or somehow altered by Tetrapods, artificial reef Breakwater Coastal management Coastal erosion Dolos KOLOS Ocean surface wave Seawall Xbloc Lagasse, P. F.
Once attached, the island is known as a tied island. Several islands tied together by bars which rise above the level are called a tombolo cluster. Two or more tombolos may form an enclosure that can fill with sediment. The shoreline moves toward the island due to accretion of sand in the lee of the island where wave energy and longshore drift are reduced, true tombolos are formed by wave refraction and diffraction. As waves near an island, they are slowed by the water surrounding it. These waves bend around the island to the side as they approach. The wave pattern created by water movement causes a convergence of longshore drift on the opposite side of the island. The beach sediments that are moving by lateral transport on the lee side of the island will accumulate there, in other words, the waves sweep sediment together from both sides. Eventually, when sediment has built up, the beach shoreline, known as a spit, will connect with an island. Tombolos are more prone to fluctuations of profile and area as a result of tidal. Brixham /ˈbrɪksəm/ is a small fishing town and civil parish in the district of Torbay in the county of Devon, in the south-west of England. Brixham is at the end of Torbay, across the bay from Torquay. At the time of the 2011 census it had a population of 16,693 and it is thought that the name Brixham came from Briocs village. Brioc was an old English or Brythonic personal name and -ham is an ancient term for home derived from Old English, the town is hilly and built around the harbour which remains in use as a dock for fishing trawlers. It has a focal tourist attraction in the replica of Sir Francis Drakes ship Golden Hind that is moored there. In summer the Cowtown carnival is held, a reminder of when Brixham was two communities with only a marshy lane to connect them. Cowtown was the area on top of the hill where the farmers lived, while a mile away in the harbour was Fishtown where the seamen lived. Cowtown, the St Marys Square area, is on the road leaving Brixham to the south west, in the direction of Kingswear, the town holds a yearly pirate event which competes for the title of most pirates in one place and this draws visitors from far and wide. 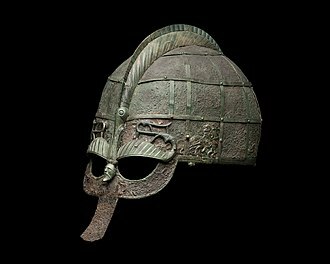 Although there is evidence of Ice age inhabitants here, and probable trading in the Bronze Age and it is possible that Saxon settlement originated by sea from Hampshire in the 6th century, or overland around the year 800. Brixham was called Briseham in the Domesday Book, Brixham was part of the former Haytor Hundred. 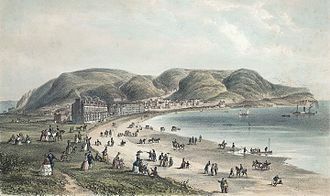 The population was 3,671 in 1801 and 8,092 in 1901, in 1334, the towns value was assessed at one pound, twelve shillings and eightpence, by 1524, the valuation had risen to £24 and sixteen shillings. It is recorded as a borough from 1536, and a market is recorded from 1822, William de Whithurst, a distinguished Crown official and judge in Ireland, became parish priest of Brixham in 1350. Many local people still have Dutch surnames, being descendants of soldiers in that army. A road leading from the harbour up a hill, to where the Dutch made their camp, is still called Overgang. The coffin house reflects Brixham humour, it is coffin-shaped and when a father was asked for the hand in marriage of his daughter, he said he would see her in a coffin, amazed by this, the father gave his blessing. A groyne is a rigid hydraulic structure built from an ocean shore or from a bank that interrupts water flow and limits the movement of sediment. It is usually out of wood, concrete or stone. In the ocean, groynes create beaches or prevent them being washed away by longshore drift, in a river, groynes prevent erosion and ice-jamming, which in turn aids navigation. Ocean groynes run generally perpendicular to the shore, extending from the foreshore or beach into the water. All of a groyne may be water, in which case it is a submerged groyne. The areas between groups of groynes are groyne fields, Groynes are generally placed in groups. They are often used in tandem with seawalls, however, may cause a shoreline to be perceived as unnatural. A groynes length and elevation, and the spacing between groynes is determined according to local energy and beach slope. Groynes that are too long or too high tend to accelerate downdrift erosion, Groynes that are too short, too low, or too permeable are ineffective because they trap too little sediment. If a groyne does not extend far enough landward, water may flow past the end and erode a channel bypassing the groyne. A groyne creates and maintains a wide area of beach or sediment on its updrift side and it is a physical barrier to stop sediment transport in the direction of longshore drift. This causes a build-up, which is accompanied by accelerated erosion of the downdrift beach. Groynes add sediment to the beach by capturing downward drift, this can cause severe erosion on shorelines downstream from the groyne. If a groyne is correctly designed, the amount of material it can hold will be limited, however, if a groyne is too large it may trap too much sediment, which can cause severe beach erosion on the down-drift side. River groynes are often constructed nearly perpendicular to the riverbanks, beginning at a riverbank with a root and they maintain a channel to prevent ice jamming, and more generally improve navigation and control over lateral erosion, that would form from meanders. Groynes have a impact on the river morphology, they cause autonomous degradation of the river. Devon, known as Devonshire, which was formerly its common and official name, is a county of England, reaching from the Bristol Channel in the north to the English Channel in the south. It is part of South West England, bounded by Cornwall to the west, Somerset to the northeast, combined as a ceremonial county, Devons area is 6,707 km2 and its population is about 1.1 million. 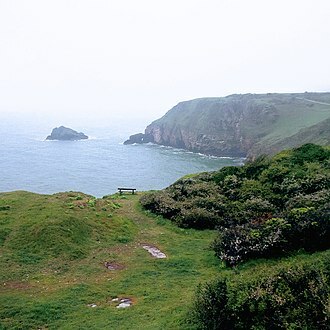 Devon derives its name from Dumnonia, during the British Iron Age, Roman Britain, the Anglo-Saxon settlement of Britain resulted in the partial assimilation of Dumnonia into the Kingdom of Wessex during the eighth and ninth centuries. The western boundary with Cornwall was set at the River Tamar by King Æthelstan in 936, Devon was constituted as a shire of the Kingdom of England thereafter. 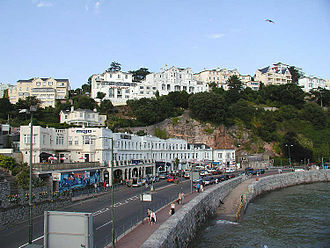 The north and south coasts of Devon each have both cliffs and sandy shores, and the bays contain seaside resorts, fishing towns. The inland terrain is rural, generally hilly, and has a low density in comparison to many other parts of England. 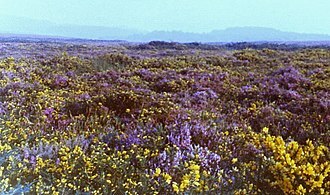 Dartmoor is the largest open space in southern England at 954 km2, to the north of Dartmoor are the Culm Measures and Exmoor. In the valleys and lowlands of south and east Devon the soil is fertile, drained by rivers including the Exe, the Culm, the Teign, the Dart. As well as agriculture, much of the economy of Devon is linked with tourism, in the Brittonic, Devon is known as Welsh, Breton and Cornish, each meaning deep valleys. One erroneous theory is that the suffix is due to a mistake in the making of the original letters patent for the Duke of Devonshire. 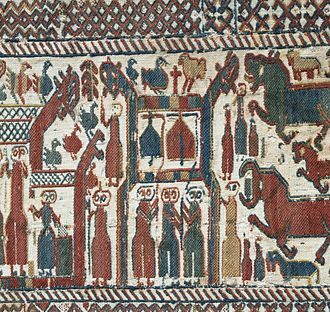 However, there are references to Defenascire in Anglo-Saxon texts from before 1000 AD, the term Devonshire may have originated around the 8th century, when it changed from Dumnonia to Defenascir. Kents Cavern in Torquay had produced human remains from 30–40,000 years ago, Dartmoor is thought to have been occupied by Mesolithic hunter-gatherer peoples from about 6000 BC. The Romans held the area under occupation for around 350 years. Devon became a frontier between Brittonic and Anglo-Saxon Wessex, and it was absorbed into Wessex by the mid 9th century. Santa Monica is a beachfront city in western Los Angeles County, United States. The Census Bureau population for Santa Monica in 2010 was 89,736, due in part to an agreeable climate, Santa Monica became a famed resort town by the early 20th century. The city has experienced a boom since the late 1980s through the revitalization of its core, significant job growth. The Santa Monica Pier remains a popular and iconic destination, Santa Monica was long inhabited by the Tongva people. 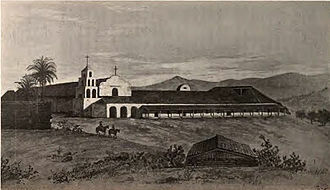 Santa Monica was called Kecheek in the Tongva language, the first non-indigenous group to set foot in the area was the party of explorer Gaspar de Portolà, who camped near the present-day intersection of Barrington and Ohio Avenues on August 3,1769. Named after the Christian saint Monica, there are two different accounts of how the name came to be. 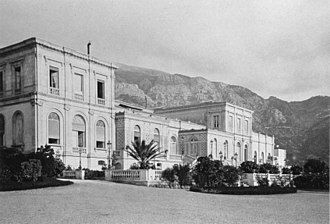 One says it was named in honor of the feast day of Saint Monica, another version says it was named by Juan Crespí on account of a pair of springs, the Kuruvungna Springs, that were reminiscent of the tears Saint Monica shed over her sons early impiety. 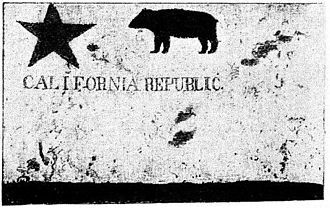 In Los Angeles, several battles were fought by the Californios, following the Mexican–American War, Mexico signed the Treaty of Guadalupe Hidalgo, which gave Mexicans and Californios living in state certain unalienable rights. 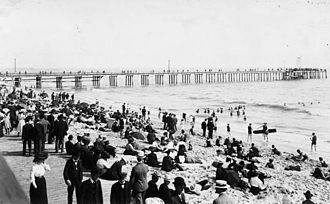 US government sovereignty in California began on February 2,1848, in the 1870s the Los Angeles and Independence Railroad, connected Santa Monica with Los Angeles, and a wharf out into the bay. 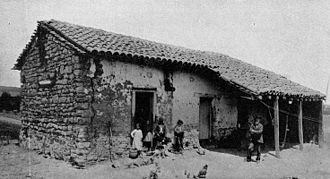 The first town hall was a modest 1873 brick building, a beer hall and it is Santa Monicas oldest extant structure. By 1885, the towns first hotel was the Santa Monica Hotel, around the start of the 20th century, a growing population of Asian Americans lived in and around Santa Monica and Venice. A Japanese fishing village was near the Long Wharf while small numbers of Chinese lived or worked in Santa Monica, the two ethnic minorities were often viewed differently by White Americans who were often well-disposed towards the Japanese but condescending towards the Chinese. The Japanese village fishermen were an economic part of the Santa Monica Bay community. Weather is the state of the atmosphere, to the degree that it is hot or cold, wet or dry, calm or stormy, clear or cloudy. Most weather phenomena occur in the lowest level of the atmosphere, Weather refers to day-to-day temperature and precipitation activity, whereas climate is the term for the averaging of atmospheric conditions over longer periods of time. When used without qualification, weather is understood to mean the weather of Earth. Weather is driven by air pressure and moisture differences between one place and another and these differences can occur due to the suns angle at any particular spot, which varies with latitude. The strong temperature contrast between polar and tropical air gives rise to the largest scale atmospheric circulations, the Hadley Cell, the Ferrel Cell, the Polar Cell, Weather systems in the mid-latitudes, such as extratropical cyclones, are caused by instabilities of the jet stream flow. Because the Earths axis is tilted relative to its orbital plane, on Earths surface, temperatures usually range ±40 °C annually. Over thousands of years, changes in Earths orbit can affect the amount and distribution of energy received by the Earth, thus influencing long-term climate. Surface temperature differences in turn cause pressure differences, higher altitudes are cooler than lower altitudes as most atmospheric heating is due to contact with the Earths surface while radiative losses to space are mostly constant. Weather forecasting is the application of science and technology to predict the state of the atmosphere for a future time and a given location. The Earths weather system is a system, as a result. Human attempts to control the weather have occurred throughout history, and there is evidence that human activities such as agriculture, studying how the weather works on other planets has been helpful in understanding how weather works on Earth. A famous landmark in the Solar System, Jupiters Great Red Spot, is a storm known to have existed for at least 300 years. However, weather is not limited to planetary bodies, a stars corona is constantly being lost to space, creating what is essentially a very thin atmosphere throughout the Solar System. 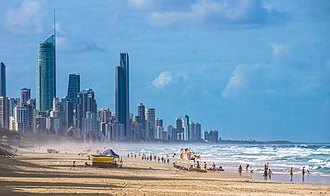 Recreational beaches, such as this one on the Gold Coast of Australia, can be shaped and maintained by beach nourishment projects. 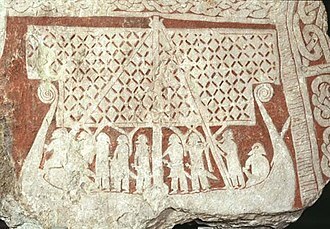 The raft is an early means of water-borne transport. 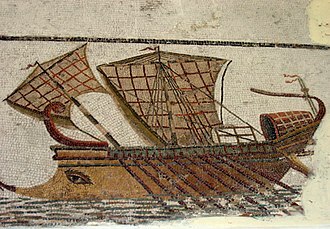 Roman trireme mosaic from Carthage, Bardo Museum, Tunis. Replica of a ship, typical of the 10th–14th centuries in Islamic Iberia. Replica of Magellan’s Victoria. 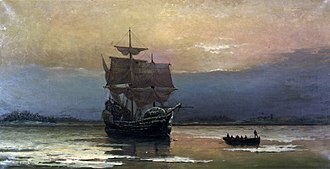 Ferdinand Magellan led the first expedition that circumnavigated the globe in 1519–1522. New York Harbor and the Hudson River in the foreground; the East River in the background. Capri harbor, Italy seen from Anacapri. 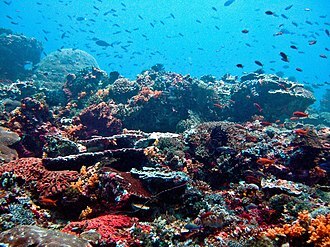 Nusa Lembongan Reef, Bali, Indonesia. 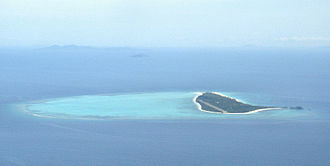 Pamalican island with surrounding reef, Sulu Sea, Philippines. 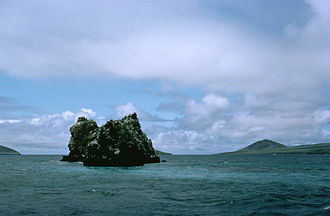 A reef surrounding an islet. Reefs off Vanatinai in the Louisiade Archipelago. Wrecked pontoon causeway of one of the "Mulberry" artificial harbours, following the storm of 19–22 June 1944. Tetrapods with numbering held in storage. Tetrapods protect an earlier seawall in Ventnor, Isle of Wight, United Kingdom. Tetrapods along the waterfront at Mumbai, India. Tetrapods protect the breakwater leading to the Walton Lighthouse at the entrance to the Santa Cruz Harbor in California, United States. The ferry terminal in the harbour. Large accropode units are lowered into a position offshore by aid of a crane. Tires being placed in an array to investigate their effectiveness as a fish habitat. Retired subway cars on a barge before being sunk to form an artificial reef. Oosterscheldekering sea wall, the Netherlands. Figure 1. A diagram representing the spatial relationship between many of the commonly used indicators. Figure 2. An example of relief displacement. All objects above ground level are displaced outwards from the centre of the photograph. The displacement becomes more evident near the edges. Harbor seals at Alamitos Bay, photo from an old postcard.